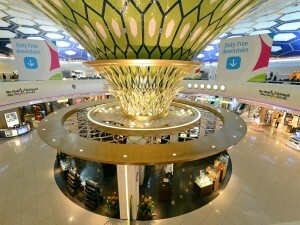 With its offering of transit visas on arrival, flight updates via social media, efficient and innovative passenger processing systems and an upgraded, stronger Wi-Fi service to ensure great connectivity, Enriching Tourist Experience is at the heart of all initiatives at Abu Dhabi International Airport (AUH) this summer. 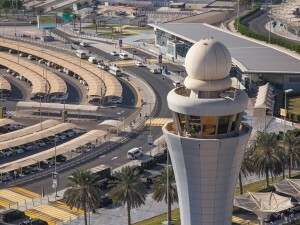 “Abu Dhabi Airports prioritises passenger safety above all else. We have worked hard to add the element of utmost convenience to this, to ensure that all passengers passing through Abu Dhabi International Airport have a truly world class experience,” said Abdul Majeed Al Khoori, Acting Chief Executive Officer of Abu Dhabi Airports. “We are indebted to the support of all our stakeholders and partners in making this possible and for contributing to our collective success,” he added. In collaboration with the Department of Culture and Tourism – Abu Dhabi, Etihad Airways and the General Directorate of Residence and Foreigners Affairs – Abu Dhabi, a new transit visa counter has been set up inside AUH to grant both transit and arriving passengers visas to Abu Dhabi within 30 minutes. The new service is located at the Terminal 3 transit area at AUH and facilitates activation of the new four-day or 96-hour transit visa for all nationalities travelling through the airport, and inclusive of all of other types of transit visas available. This is in support of Abu Dhabi’s ongoing efforts to attract more visitors to the capital. With the introduction of the new BizTweet service, incoming and outgoing passengers to AUH can receive real time flight updates to their Twitter and Facebook accounts.